French completed her Doctorate of Musical Arts at Arizona State University and holds degrees in Music Education, Music Technology, and Performance from Duquesne University. 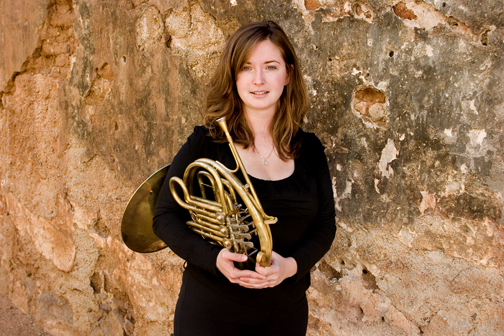 Since 2008, French has been the Exhibits Coordinator for the International Horn Society. She maintains a private studio and teaches at Rosie’s House: A Music Academy for Children which is a non-profit music academy that provides free instruction and instruments to under-served youth. Pangean Orchestra: Featured Artist of the Week!